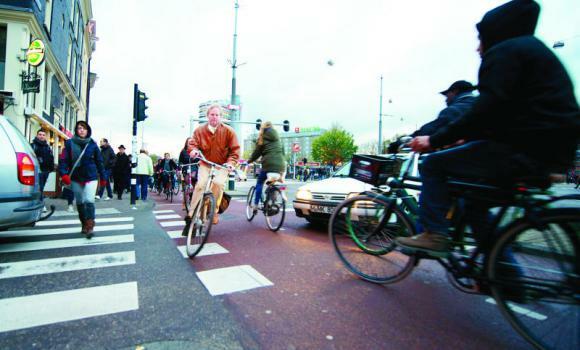 Problems all-too familiar to car drivers the world over, from traffic jams to road-rage and lack of parking, are now also threatening to turn the Dutch dream of bicycling bliss into a daily hell. In a small country where bicycles outnumber people by 1.2 million, the Dutch have simply run out of space to accommodate the five million cyclists who take to the road every day, turning commuting in major cities into a nightmare. “Cyclists have increased dramatically over the last few years,” Wim Bot of the Dutch Cycling Association (Fietsersbond) agreed. “In a small country like the Netherlands where almost every square metre is accounted for, we’ve run out of space,” added Bot, whose “cyclists’ union” was founded in 1975 and today represents 35,000 paid-up members. “It has become a headache,” he told AFP.